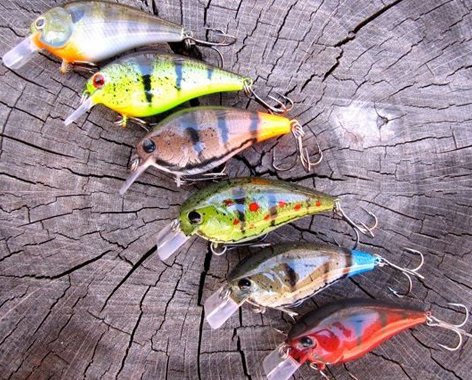 You’ll be reeling over these designs. 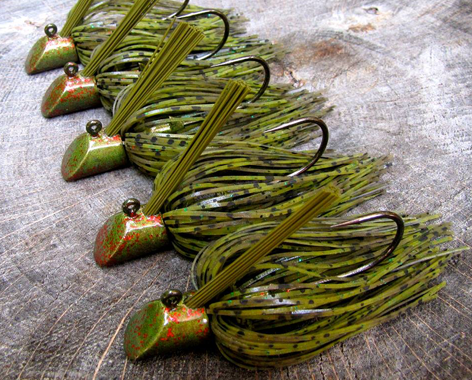 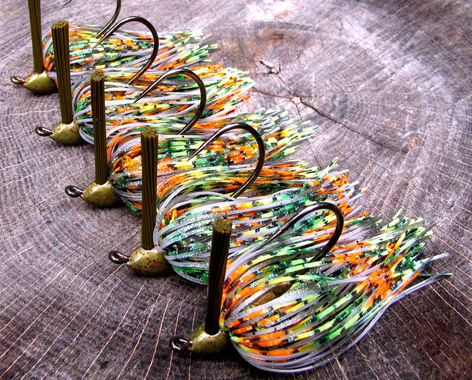 Crafted to serve as a bait for the middle of the water column, the swim jig can generate vicious strikes from those green (or brown) predators of the deep! 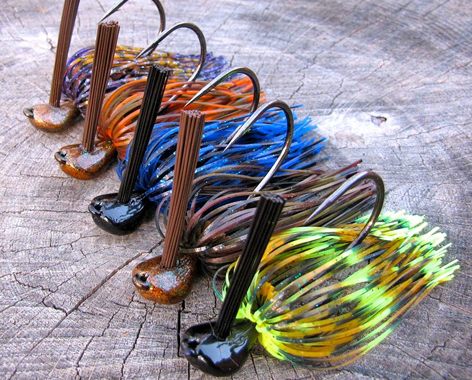 Whether you yoyo it back to the boat, or slam it into grass and hard cover, the swim jig is poised to land you that kicker fish you ache for! 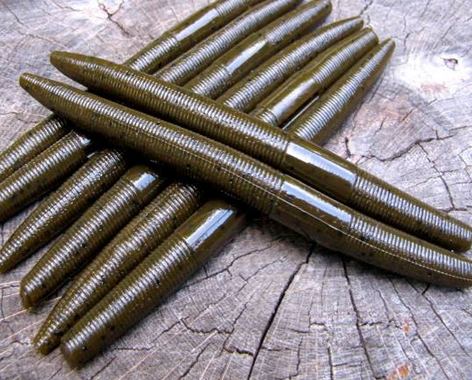 Available in 1/4, 3/8, and 1/2 oz. 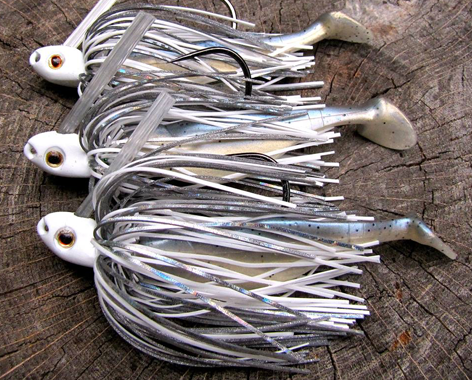 the swim jig is a versatile bait and can be fished in a variety of depths! 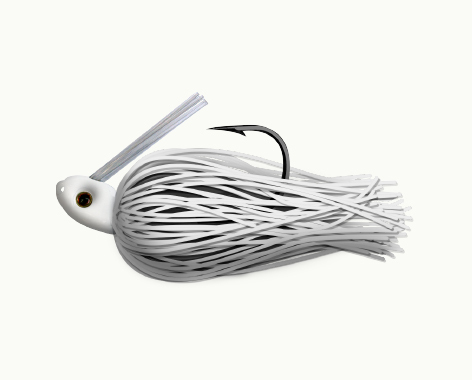 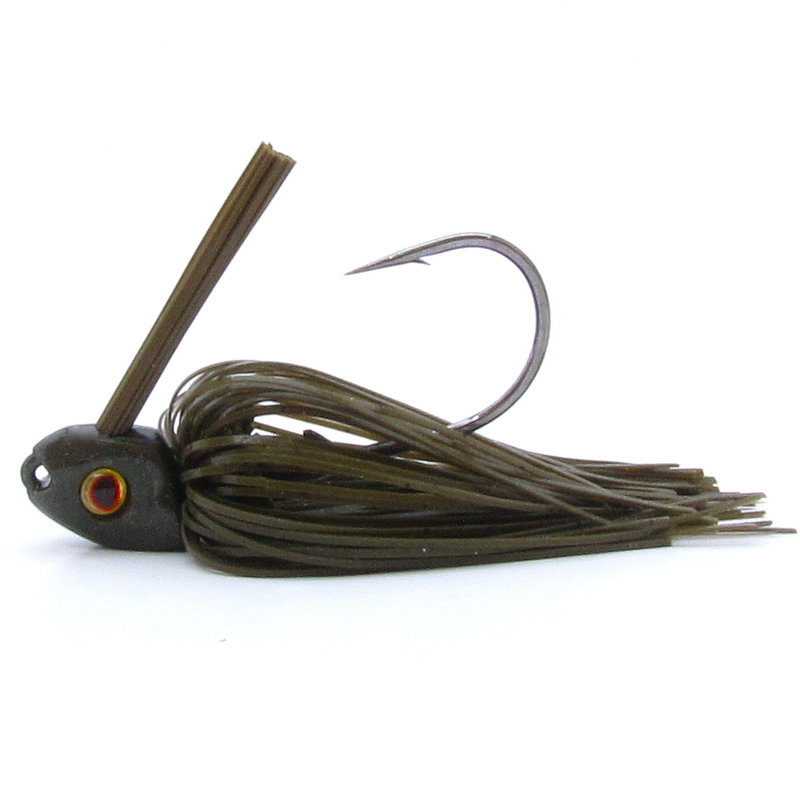 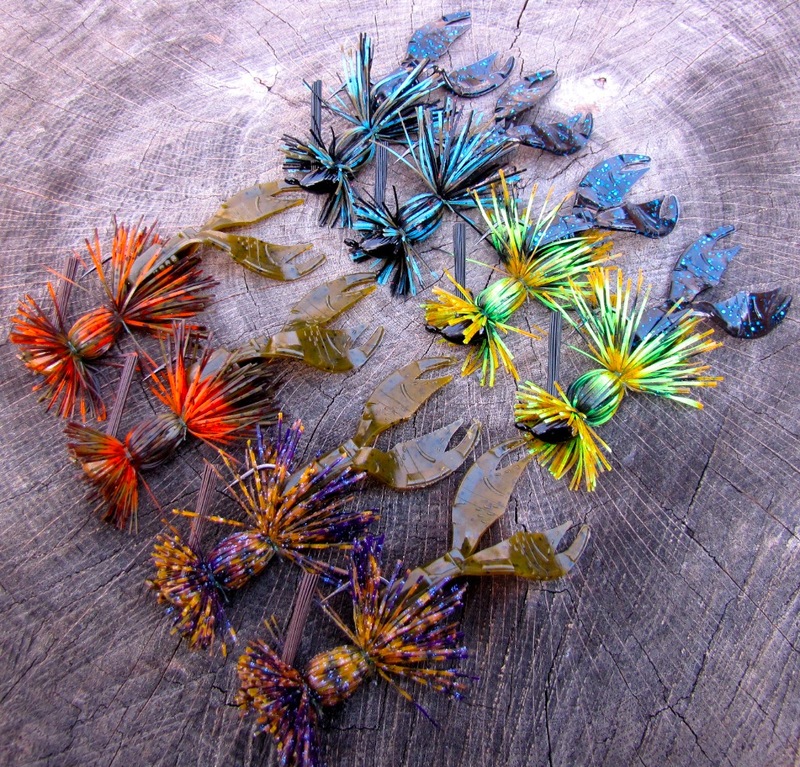 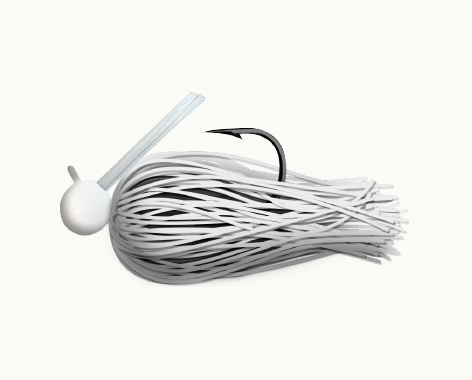 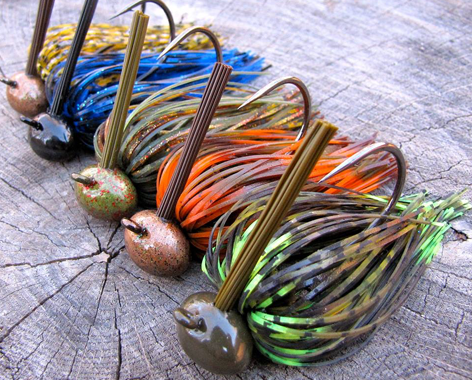 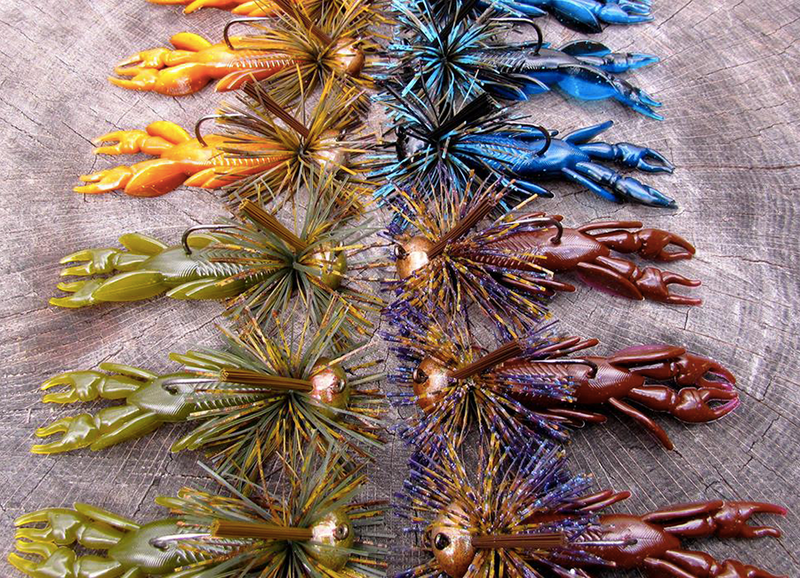 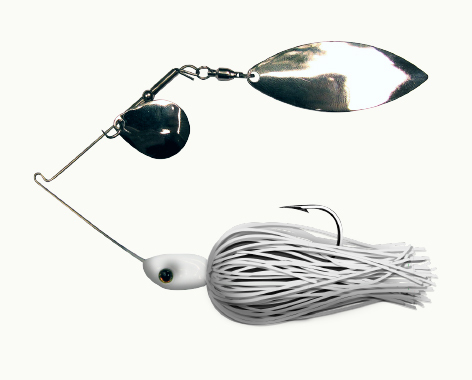 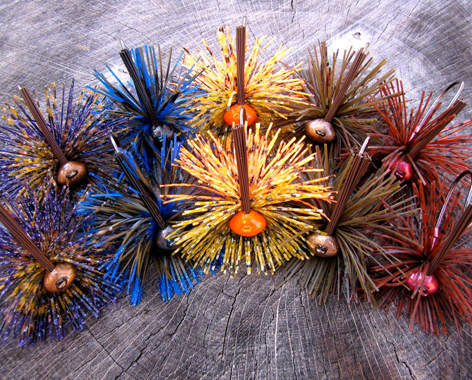 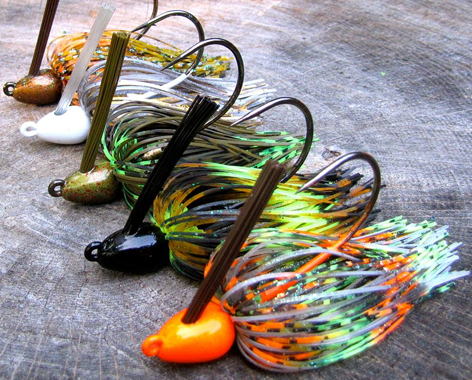 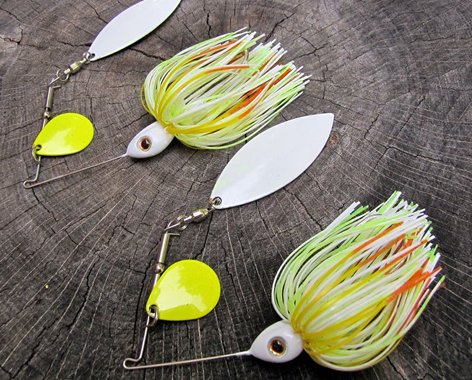 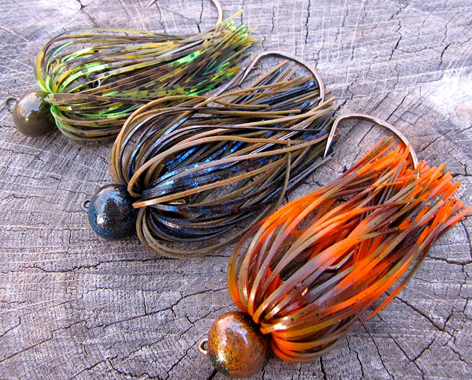 Swim Jigs are all hand-tied and hand-crafted with silicone skirts and laser sharp hooks. 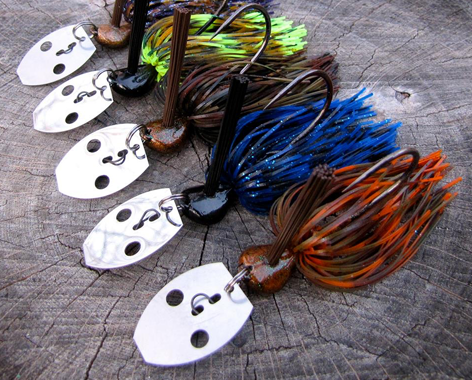 As if that weren’t enough, each head is built with a recessed line-tie for reduced hang-ups! 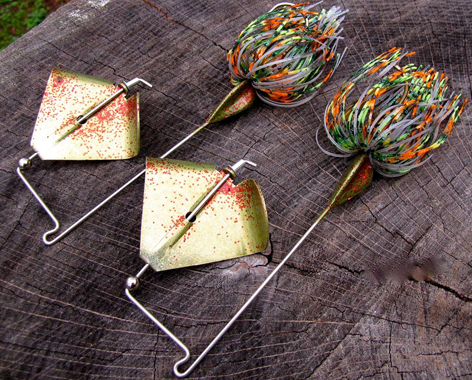 Tie one on and hang on!